(Bloomberg) -- JPMorgan Chase & Co and Barclays became the latest financial institutions to lower their estimates for Brazil’s economic growth this year, on the back of weak activity data and increased political uncertainty. 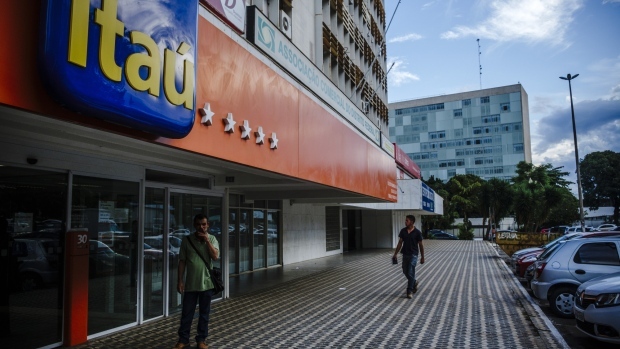 They joined Itau Unibanco SA, Latin America’s largest bank by market value, which remains the most pessimistic of the three after cutting its 2019 growth forecast for Brazil to 1.3 percent on Friday. Barclays sees Brazil’s gross domestic product expanding 1.7 percent this year, versus 2.2 percent previously. JPMorgan reduced its 2019 GDP forecast to 1.5 percent from 2.1 percent, saying that activity hasn’t performed well in the first quarter and that rising political uncertainty is weighing on sentiment. “The rise of political uncertainty will continue to take a toll on business sentiment,” JP Morgan’s economist Cassiana Fernandez said.